Scott and I had bronchitis. 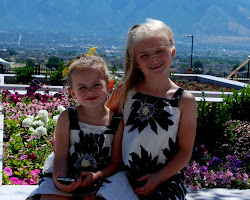 Neither of us were feeling very well, so my parents were kind enough to take the girls for the day. They went and had a blast playing at BYU. First they played at the Bean Museum- a famliy favorite. 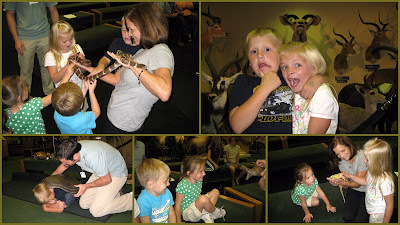 Grandma held a snake, Luke wore a shell and Jade kept herself busy doing the scavenger hunt. 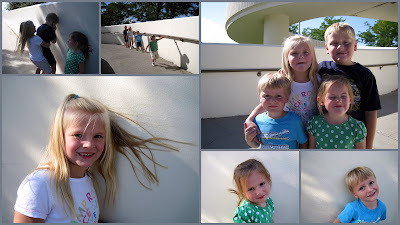 After going to the Bean Museum, they walked up to the bells and had fun getting their hair stuck to the wall. Jade's did it the best and Luke required a little help from the rest of the kids. (note the small picture on the top left corner). 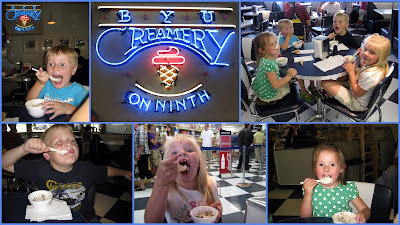 What better way to finish up a visit to BYU, than the Creamery on 9th. BYU really has some of the best ice cream and the price is right. The kids were very creative in their demonstration of how to eat ice cream.